Your opponent just smashed the shuttle over your head, and you need a brisk leap towards it to avoid it from touching the ground. Perhaps a pair of best badminton shoes! Badminton is an extensive sport that not only requires skills and precision but also demands speed and agility from its players. As a badminton player, you must be able to run from one corner of the court to another in a blink of an eye to defend or smash the shuttle back towards your opponent. For these reasons, you need badminton shoes… And not just shoes but a good pair of badminton shoes. 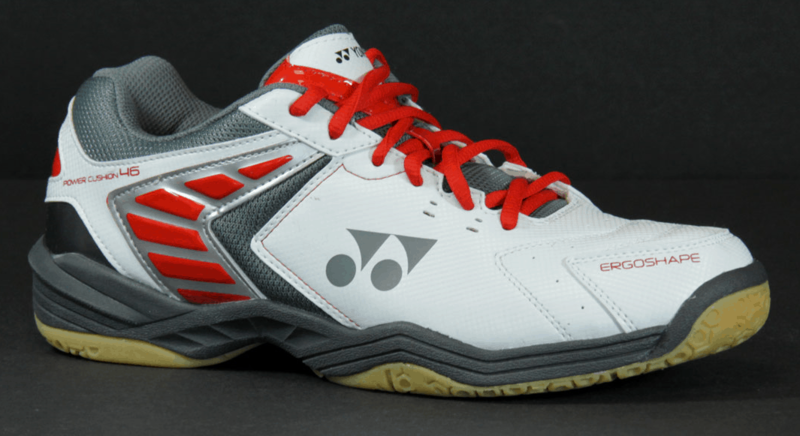 2 How to Choose Good Badminton Shoes? The Yonex SHB-SC5 MX Badminton Shoe is designed for maximum stability and offer the player with the ultimate cushioning for comfort and protection for their ankles and feet. It comes with an enhanced P.U leather and polyester mesh. This leather not only adds to its durability but also gives it a nice look, while the polyester mesh ensures better ventilation. 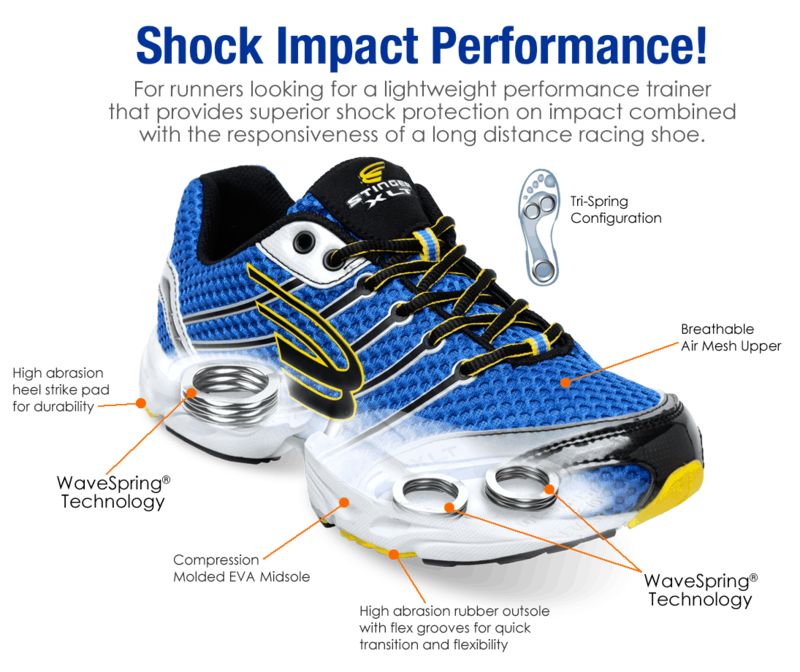 In the midsole, is a ToughBird, Power Cushion and T.P.U technology. This cushioning absorbs the impact and puts off the stress from ankles and knees. Whereas on its outsole, a Hexagrip natural rubber is installed that not only gives you a good grip while jumping or lunging, it also gives a very light feel and increases your speed. Overall, these shoes are very comfortable and come at a very affordable price. When it comes to comfort, you’ll only find it in Babaolat Shadow. It features a thin cast which wraps around your feet like a feather. The elastic wraps inside further give a nice grip and fit the shoes perfectly. You won’t need to lace it up tightly. Since it has flat soles, it holds tight enough and prevents you from falling over just in case you step on a bead of sweat. 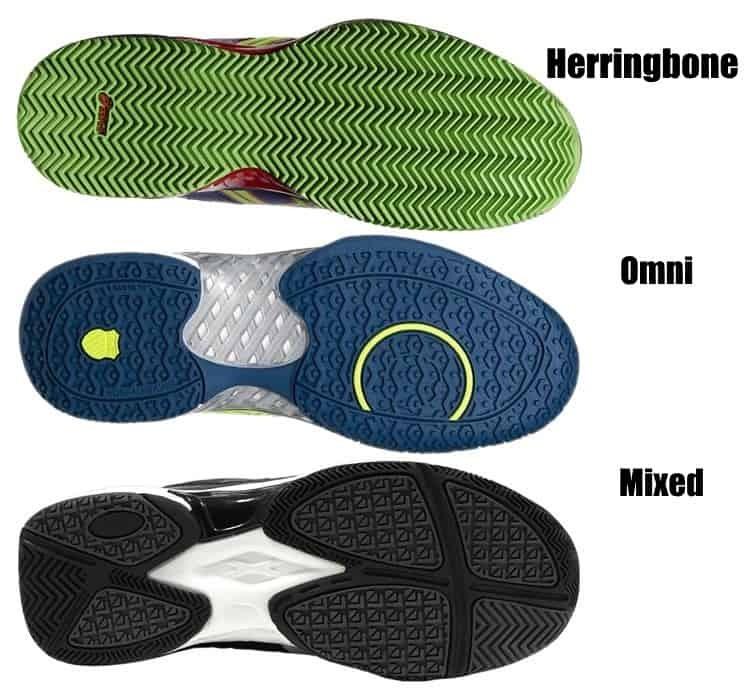 The bottom sole has patterns made that enable good lateral movement and stopping power. A lot of badminton shoes lack a good pattern that gives a tight grip on the floor. Performance wise, you’ll instantly feel the speed and brisk movements. It isn’t fully flat on the ground, which is a plus point, as it offers a quicker change in direct since you won’t be dragging on your movement. 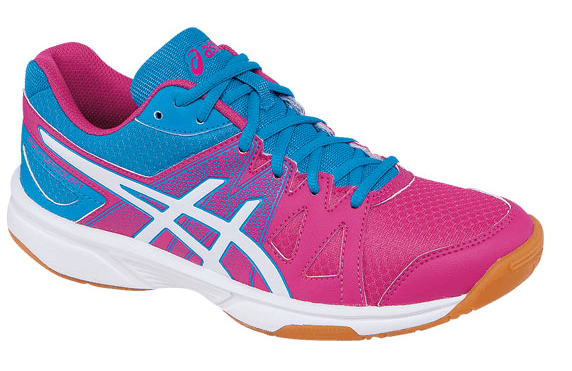 This is the kind of badminton shoe which has a very different design and comes with a simple combination of colors. Though the design is simple but performance wise, nothing beats ASICS. Though your first reaction after unboxing this classic pair would not be something extraordinary once you step on the court, you’ll get to know that you’ve invested in the right product. 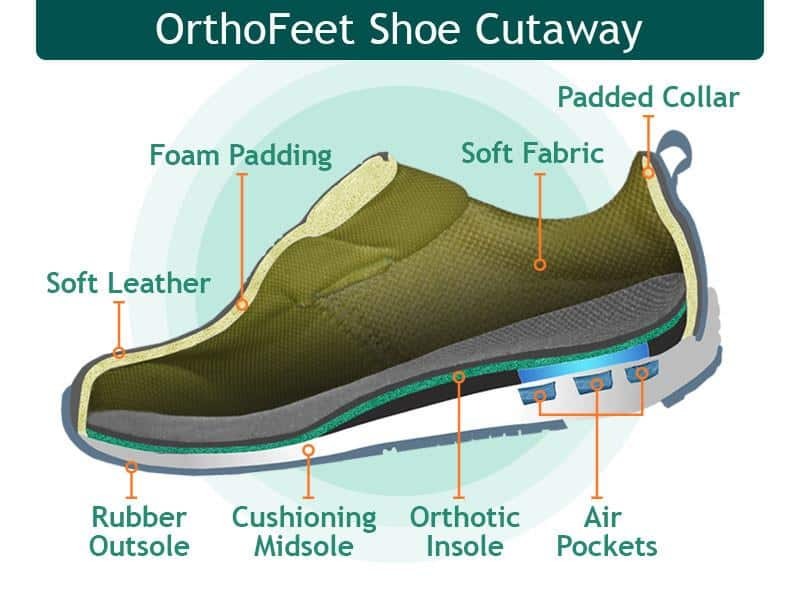 Even though its sole is pretty thin, but this doesn’t affect the comfort and stability that it provides. A plus point here is the better centre of gravity and injury prevention. What’s amazing about these shoes is, despite using them rigorously, you’ll barely notice and wear and tear on the shoe. While the white material might make it dirty and you’ll have to take extra care, overall, it looks very sleek and simple. The cushioning on the inner sole is pretty amazing. It quickly absorbs the impacts of your jumps or another brisk movement along with providing a plush feel as you wear. Overall, this pair is perfect to improve your athletic performance on the court and comes at a very decent price. 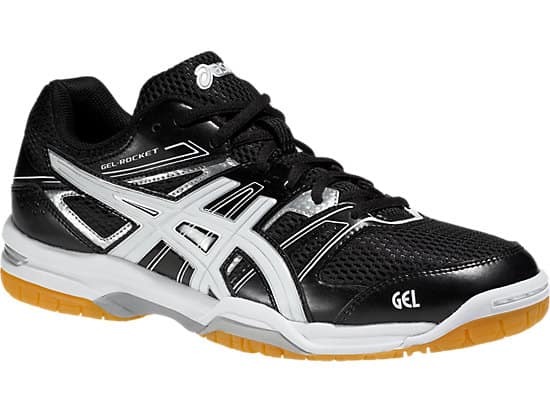 With an amazing aesthetics and ergonomics, ASICS Men’s GEL-Rocket 7th generation are the new big thing in the badminton game, and it is guaranteed to improve your performance. What makes it different form ASICS women’s is the incredible design and neck-turning appearance with unbeatable features. The first wearing experience is comfortable, and this is what makes this pair outstanding. The front curving part of the shoe may feel less flat, but it has a plus point during the game since you’ll be putting fewer efforts into twists. The inside of the shoes has an advanced gel cushioning system which isn’t found in most of the badminton shoes. It gives a very comfortable feel. Also, its rubber outsole will give you a lot of traction and a better grip while jumping or moving back and forward on the court. 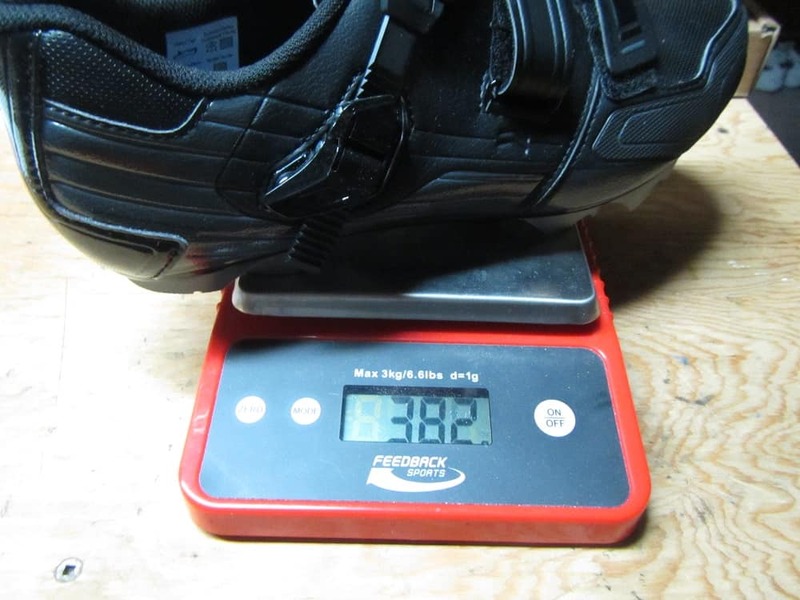 And despite the shoes may appear heavily loaded with features, they are still very light in weight and weight approx. 350g. For lateral movements, you’ll get the best stability and support that prevents injuries and takes off stress from your knees and ankles. Since ankle movement must be extremely flexible during the game; these shoes don’t have a very tight support around them. 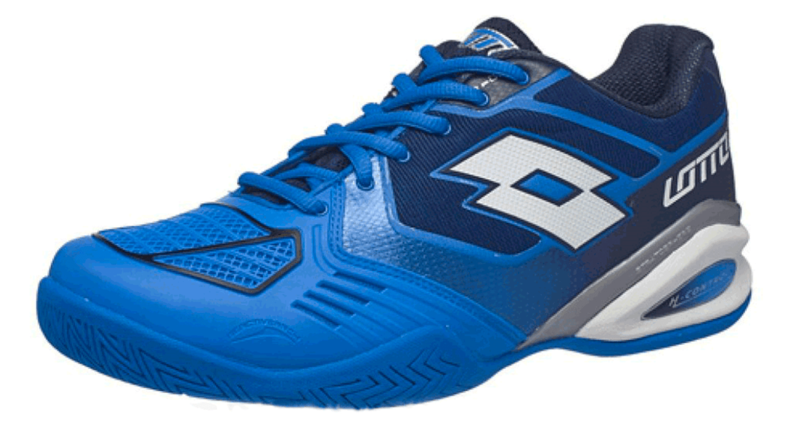 Overall, you’ll feel great and play even better wearing these badminton shoes. This badminton shoe pair is famous for its power cushioning feature which can absorb the shock much efficiently as compared to the normal cushions and instantly reverses the impact energy, resulting in a smooth transfer for your next movement. It comes with a fresh new color and style that will make the heads turn and give you a comfortable feel while on the court. 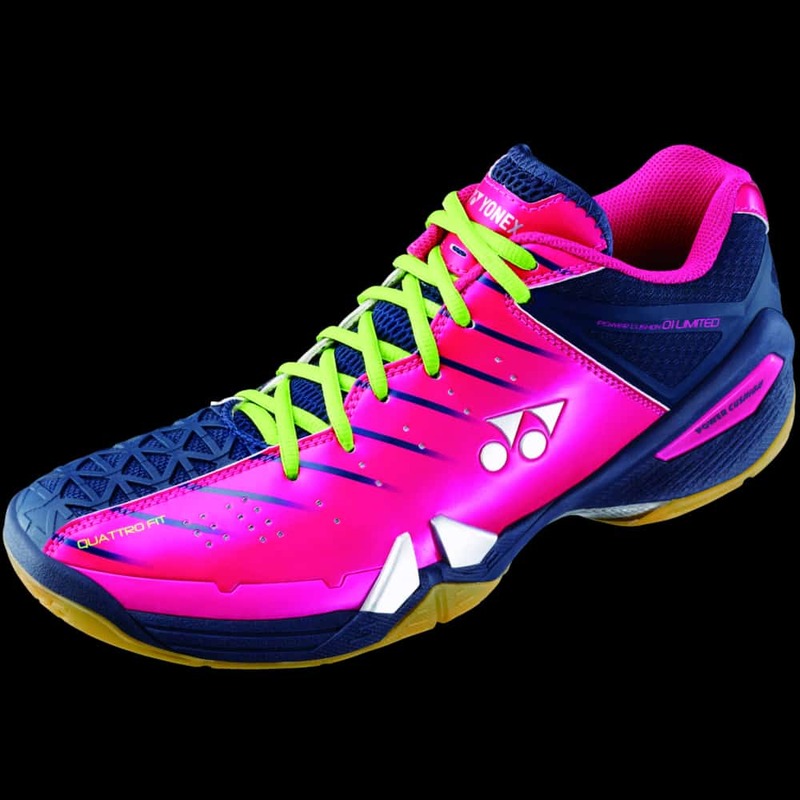 These badminton shoes are pretty much affordable and have been scientifically contoured to provide more stability in the forefront and toe area. This is possible because the ergoshape is possessed. The front of the shoe is slightly flat than curved, and though this may increase the effort to make a turn, overall briskly, these boots will improve your performance and speed during the game. Say hello to one of the top-notch and high-end pair from Yonex, built from PUT leather, double Russel, mesh and Kuraster. 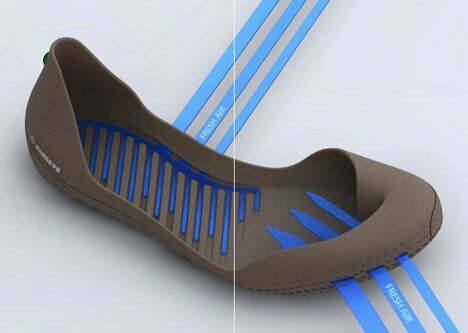 What’s amazing about this pair is the rubber outsole with an elastic midsole along with Power Graphite Lite and Power Cushion, which absorbs impacts, increases your speed and puts very minimal stress on your ankles and knees. Its hexagrip offers better stability on those rigorous movements, and the power cushion is tri-layered and smartly designed. The top and bottom layer is hard and absorbs more than 30% shock while the middle plush layer acts as a transfer of energy for better reverse movement. You’ll love its Double Russel Mesh that is not only incredibly light in weight but also durable. It provides eight times better ventilation and keeps your feet dry. The Quattro Fit is a special technology that was designed by the YONEX team, and it offers the best level of comfort and grip for your feet during the game. If you haven’t been lucky to find comfort in badminton shoes, it is the time that you kick away all the options you had in mind and go once and for all for the Yonex SHB01LTD. These are unarguably the most comfortable, non-slip and high performing badminton shoes. Even though it doesn’t have much ventilation, still you won’t feel any irritation while playing. It may also feel hard the first time you wear it; however, prolonged use will soften it up in no time. Its soles are made to offer grip and stability. It actually has a two-piece sole. The sole bottom works to prevent the slide while the inner sole ensures grip as you jump or lunge. 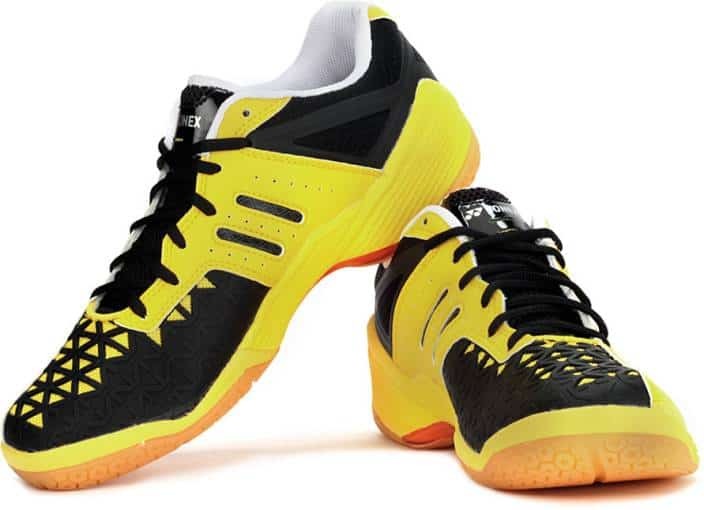 Overall, these shoes are pretty nice and perform well on the badminton court. The only potential drawback it has is less ventilation. 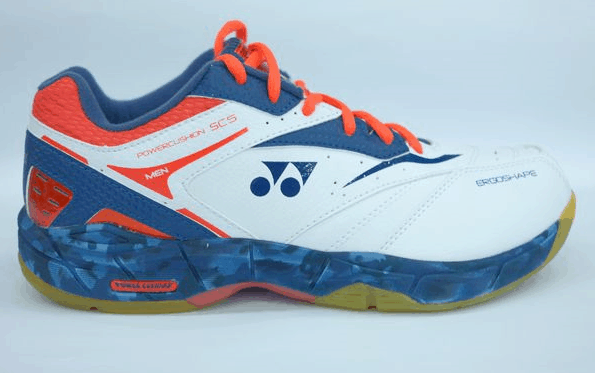 If you are a very aggressive player who is always attacking, jumping and smashing the shuttle in the court, then you definitely need the Lee Chong Wei edition of the Yonex badminton shoes. It helps to execute that devastatingly fast footwork much better while giving you the comfort, stability and Yonex technology all inside your shoe pair. The Lee Chong Wei edition comes with a P.U. Leather that not only makes it durable but also gives it a nice and sleek look. You’ll love the shiny surface on top. Double Russel Mesh is installed that increases its ability to ventilate by eight times, ensuring that your feet don’t get too much warm and wet during the game. Having your feet dry during the game is actually essential. Otherwise, it will distract you from your competition. It power cushion technology is what’s the most loved by its users. This cushioning system not only absorbs the impact from your rigorous movements, but it also provides the reverse energy, which increases the speed of your movements. Its outsole is made of rubber, making it perfect for indoor play, whereas the midsole has Power Graphite Sheet, which not only offers an excellent stability and grip but also makes the shoes comfortable for you. Performance wise, these shoes are built to enhance your speed and agility during the game. You’ll love playing with them. The Yonex Men’s edition is a limited one, and that’s because of its premium features. These shoes have asymmetrical fit with an ergoshape that gives better support and stability, improving your footwork during the game. Its upper is made of P.U. Leather for durability and a Double Russel Mesh which offers better ventilation and keeps your feet dry. Its midsole is equipped with ToughBird Light, Power Cushion, Solid E.V.A. and the T.P.U technology for comfort, impact absorption and grip. What makes it stand out from other shoes is the extra layer of durable skin on top. This also results in a better appearance. The ergoshape, which I discussed earlier, also results in faster and accurate footwork and enhances your performance on the court. Adidas is a brand recognised worldwide, and their sporting equipment is no exception. The Ligra 4 is probably the best badminton shoes for men that are built to the highest quality standards and to boost your performance. While these shoes are attractive, they also prevent sliding on the court. The traction it provides is very impressive, thanks to the combination of rubber material used in its sole. The shoes have been actually designed by observing how the badminton players make aggressive moves and twists on the court. Regarding durability, it has no match. You get what you pay for, and it guarantees long-lasting strength that can withstand the heavy burden of rigorous movements in the badminton court. The synthetic material used in its built makes it strong, durable and ultra-flexible. When it comes to performance on the court, you’ll get the best return on your money from the badminton shoes. The way they land and give you a firm grip is simply impressive. It couldn’t get any better, and of course, you deserve it when you have the Adidas logo on it. What’s more amazing about this pair is the level of comfort. Whether it be just wearing, running or jumping around, they offer maximum support, so you don’t get distracted. The mesh material inside makes it more breathable and keeps your feet dry for a maximum time while you are on the court. This pair is known for its durability and affordability. It has got a very attractive design and is noticeably bulkier. This slightly increases its weight, but it still falls within the recommended range. It comes in bright colors including mystery blue, neon, orange, flow orange and much more. They can easily last for a whole tennis session no matter how rigorously you use or play with them. Also, the mesh material keeps your feet ventilated and dried throughout the game. The rubber sole not only absorbs the impacts, but it also gives you a nice grip and prevents you from sliding when you jump or lunge. This also increases your speed and agility during the performance. If you want to, the insole could be removed, just in case you need a deeper foot penetration. However, this might increase the stability around the ankle, which you don’t want, since the ankle movements have to be flexible. While these shoes are made for tennis, they also go well with badminton. They are built to increase your speed and performance during the court. This is one of the most affordable shoes by ASICS, and it has a unique design which makes it different from others. Though this pair comes in a combination of red, black and white with a classic look, it still looks better and attractive. Don’t be tricked with its mediocre appearance out of the box. Once you wear it and step into the court, you’ll get to know that this pair is a complete beast. Aesthetics wise, it has a thin profile which is actually great since it offers better ventilation. And being light your speed increases and it also provides better stability. The tough leather material on top prevents the wear and tear, no matter how you use them. However, because of the white color, you’ll need to take extra care to keep it clean. One thing, you as a player wouldn’t like is the thin padding, though the cushioning is comfortable and absorbs impacts. Still, I believe, thicker padding would’ve been more comfortable. Overall, you won’t have any issues playing badminton with these shoes on. 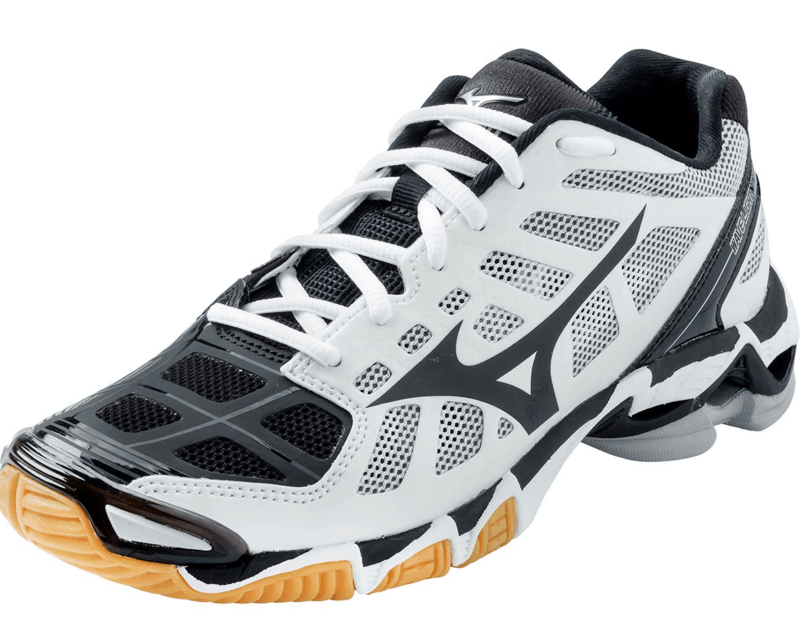 Mizuno is one of the best badminton shoes in the market, well-known for their comfort and a wide variety of styles. It offers three layers seamless upper with a great level of durability. This pair is designed explicitly for women and is equipped with Dynamotion Grove and Power + Bounce. Both of these collectively absorbs the shocks. The cushioning system is doing a pretty excellent job and offers better stability while you are smashing the shuttle in the court. What’s premium is its extra grade rubber and non-marking sole, resulting in a good grip as you lunge or make other quick movements. Dura Shield is also installed that further protects your feet from dragging on the floor. The traction it has is simply amazing. Needless to say, the ventilation is also better and keeps your feet cool and dry throughout the session. This prevents blisters and Athlete’s Feet. Overall, these shoes are light in weight and durable. 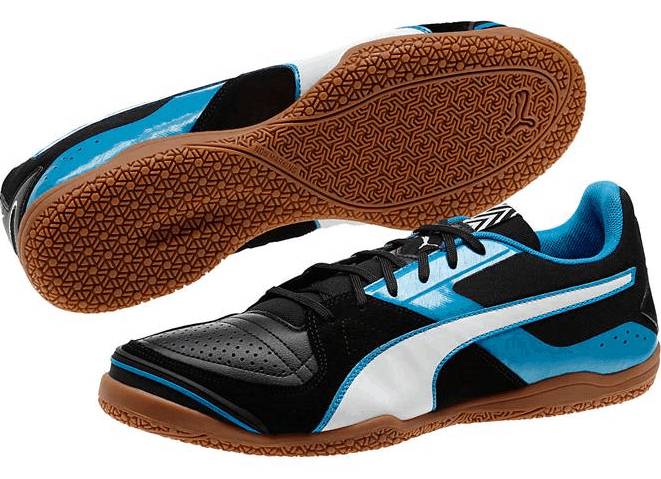 This one is from one of the top three Puma’s shoe models that every player must have and is searching for. It has got the comfort, lightweight and a great touch. The first catch here is the perfect combination of leather and textile which gives it an elegant touch. On the top, it features traditional lace-up system and has several small holes which serves the ventilation process. 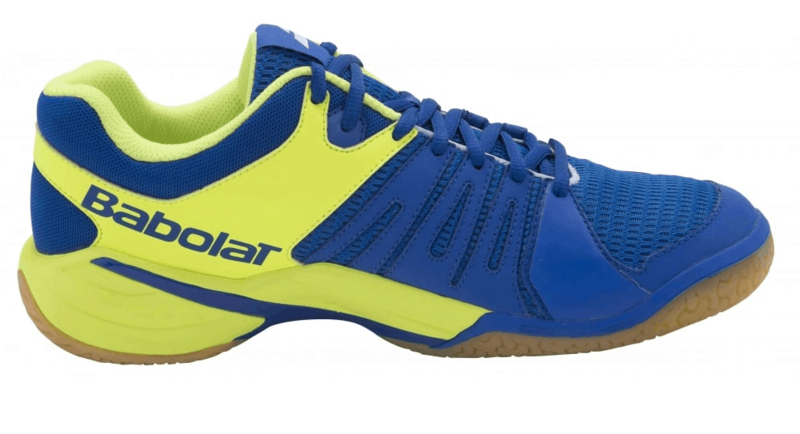 Its soles are constructed from rubber and provides you with the ultimate stability on any surface you are playing on. Its toe is also rubber enforces that helps increase your speed and agility. Because of this, you get a secure grip when making brisk movements. Overall, its performance is exceptionally well on the court. I would be surprised if you don’t choose the Head Men’s badminton shoes. Why? The level of comfort and the way they enhance your performance in the court is simply impressive. These shoes are very comfortable, they’ve got an excellent cushioning and are pretty stylish with lateral support and gum rubber sole for a great grip. 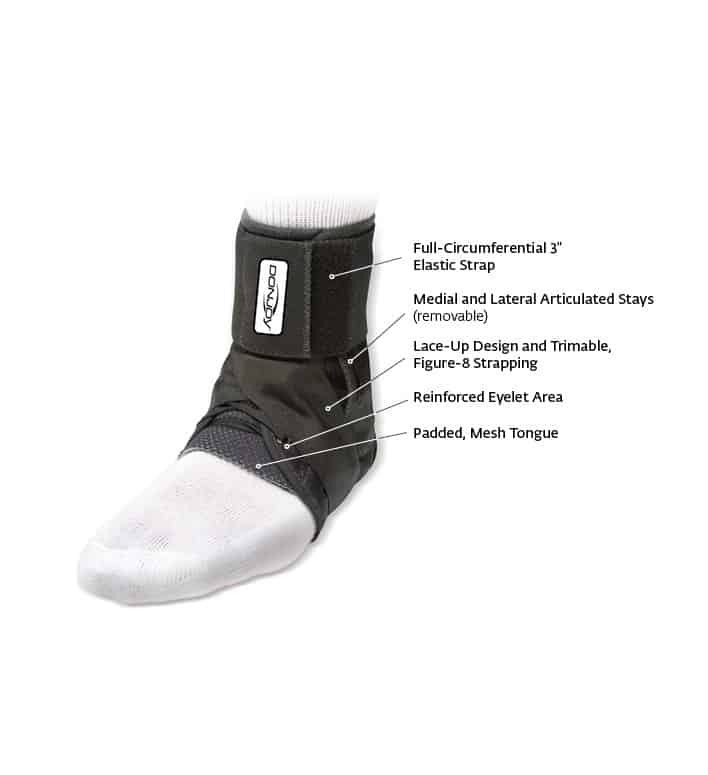 It uses Lateral Control technology, which increases the flexibility of your ankle and the natural flexion of your foot. As a result of this, you get a nice, snug fit and it prevents you from losing a step. Being lightweight gives you a great feel as soon as you wear and stroll around. Its ventilation is also great, thanks to the extensive mesh panelling on the upper. This keeps your feet cool and dry throughout the session and keeps you laser-focused on the game. Because stability is what matters the most in the game, you’ll get the most of it from this pair. The rubber sole on the bottom not only is great at absorbing impacts, but it also provides a good stability and prevents sliding. Overall, these are high performing shoes, light in weight and comes with an excellent cushioning system. 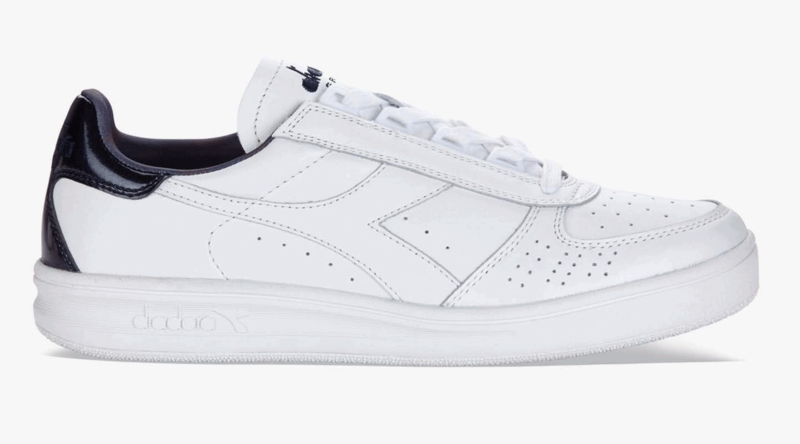 Diadora is a very old shoe, clothing and accessories brand for sports and leisure and the Elite L III pair is probably one of their finest manufacturers. It comes equipped with 77.3% leather and 22.7% polyurethane which gives it the toughness and durability to withstand the harshness of this game. All the materials used in its construction are imported. Instead of the mesh, it uses breathable leather lining that keeps your feet cool and dry for long. When it comes to design, it has those killer looks to make the heads turn when you enter the court. Though it is simple, yet sleek and stylish. However, since there is a limited color choice and mostly it comes in white color, you’ll have to take extra care to keep it clean. 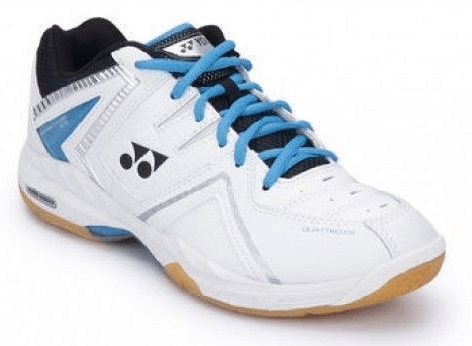 How to Choose Good Badminton Shoes? Most of the badminton players are focused more on buying an excellent badminton racket with a shiny grip or a cool forearm band. What they neglect is their footwear which is the most crucial part of your game. You may not notice the insane amount of stress that runs through your legs and feet. It is merely very queer and you probably won’t feet it at first. 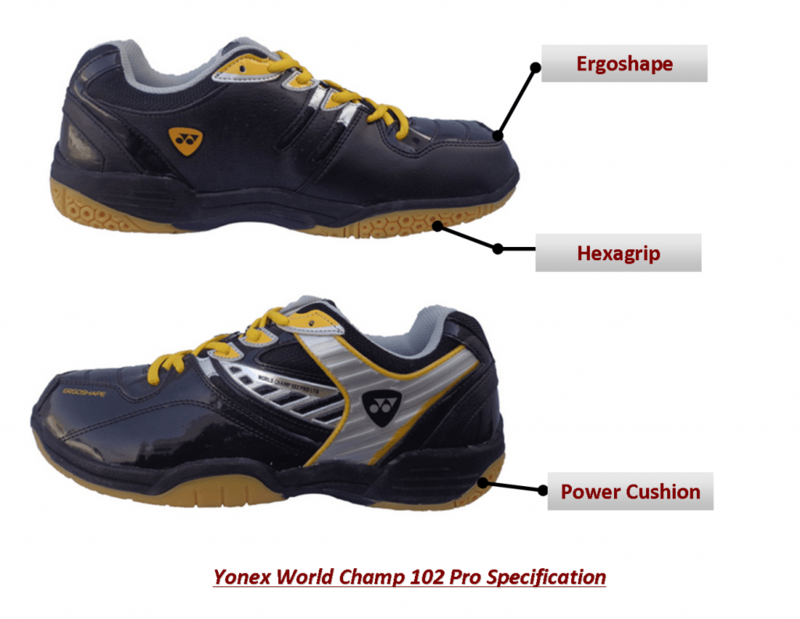 Here are some important things to look for what actually defines a pair of good badminton shoes. While design, sole type and other factors are equally important, the weight of your badminton footwear will dramatically affect your performance on the court. Heavy shoes will only slow you down and much worse, distract your attention to some extent. You’ll be late to defend those bullet speed smashes. On the contrary, lighter shoes help increase your speed, makes it easier for you to jump or leap and twist briskly during the game. Moreover, lighter shoes will give you a great and comfortable feel. The ideal weight is 250 to 400 grams. When you jump, twist or run backwards, all the angle shifts originate from your ankle, which means your ankle must have a free range of motion. For this reason, badminton shoes are designed with less ankle support to ensure that the player can quickly move forward, backward, jump or even go sideways quickly. Though there is some ankle support if your badminton shoes have too much of it, your ankles will not be flexible and wouldn’t develop proper strength for the game. It can even lead to an ankle injury since your ankle isn’t used to extreme physical stress. Look for badminton shoes that allow a flexible ankle movement. In no time, you’ll be sweating like hell from head to toe. Since badminton is a very extensive game and involves rigorous movements throughout, your feet will sweat a lot, and your shoes will become wet quickly. This moist condition is a perfect place for fungi and bacteria to grow, resulting in a very bad odour and much worse, Athlete’s Foot. For this, your badminton shoes must have proper ventilation so your feet remain cool and dry and prevent any uncomfortable situation which may distract you from the game. We’ve discussed the core features of a badminton shoe, but the design also plays a crucial role in improving your performance. Since badminton demands a lower centre of gravity for balance and to quickly react, your shoe sole must be thin for a lower centre of gravity. This way, you can move quickly, jump quickly and even make those unexpected sprints. Thicker sole is not at recommended for badminton players. They are made for runners and won’t benefit you playing badminton. Which type to choose depends on the badminton court you are playing in. Nowadays, most of the badminton course are either PU or Wood. If you are playing in any one of these courts, Gum Rubber Soles are your best pick in your badminton shoes. This sole not only serves you with an extra grip, but it also provides the player with an extra traction. But, if you are playing on the cement floor, rubber soles are perfect. 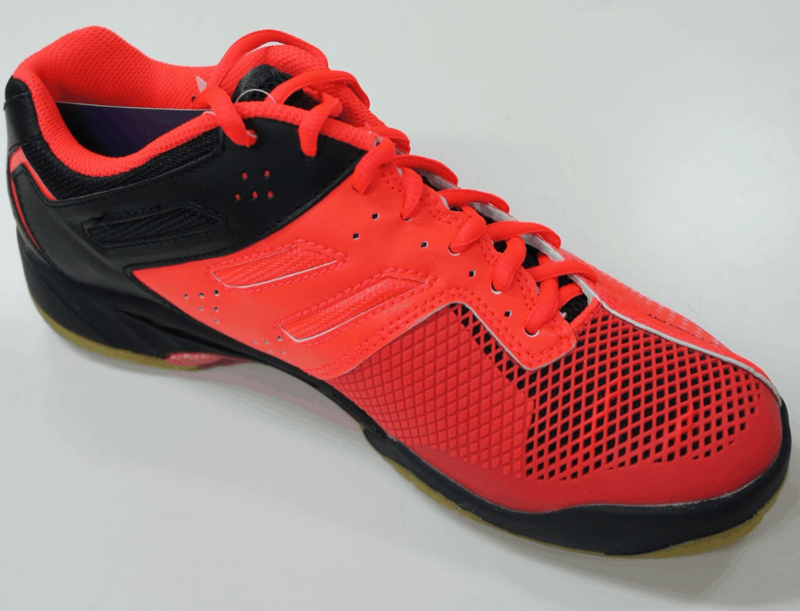 Your badminton shoes are so designed that they have a non-marking rubber sole to prevent any marking on the floor. Else, when you drag your legs, you’ll be leaving big ugly marks on the floor. 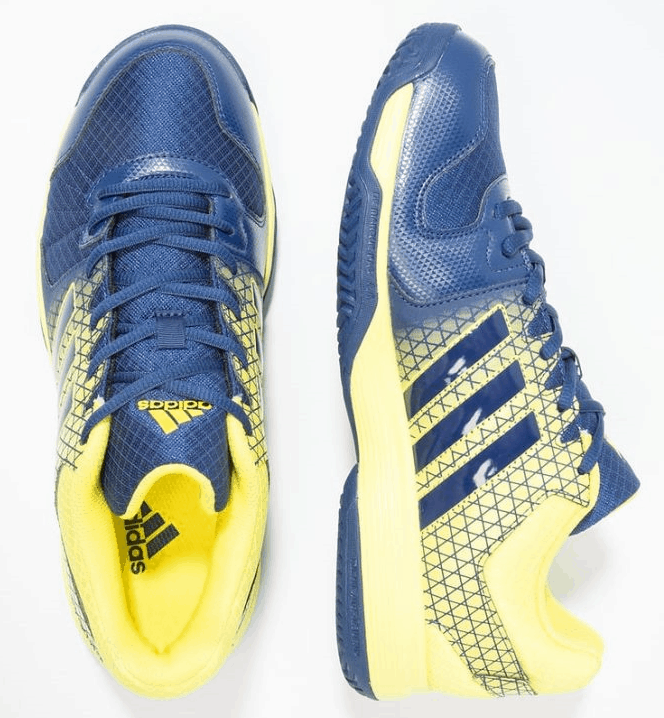 Badminton shoes with good cushioning can better absorb the impact from your movements, and this would ultimately lead to a better overall performance in the court. A good and smartly engineered pair will not only give you a comfortable feel but also protect your feet during the game by absorbing those vigorous impacts. This also reduces pressure on your knees, especially when you jump or lunge. The cushioning inside actually acts like suspension, and it helps to prevent any unexpected injuries during the game. It provides the best stability for your feet and toes. During the game, the flexibility in the toes is very important for making those brisk movements. Badminton shoes with ergoshape not only keeps your feet comfortable, but they also provide that extra stability during explosive front or back motions. This is definitely a premium feature which doesn’t come with all badminton shoes. The “Double Russel Mesh” in badminton shoes increases its ability to fight with moisture by eight times as compared to the standard shoes. It offers better ventilation and gives you a very comfortable and dry feel during the game. Prevent Injuries: From sprains to ankle and knee injuries, a good pair of badminton shoes will efficiently absorb the shocks and prevent such calamities. Prevents Blisters: A good pair of badminton shoes will have proper ventilation and a reliable sole which will prevent blisters and Athlete’s Feet condition. Better Performance: And above all, you’ll notice a dramatic change in performance while playing in the court. So, that’s It fellow readers. I’ve done my part of doing the extensive research of finding the best pair of badminton shoes based on their performance, quality and overall reviews. The aim is to help you out in finding the best footwear that will help improve your performance, speed and briskness of movement during the game. Now, it is your turn to pick the best out of the best, based on your personal preferences, needs and budget. 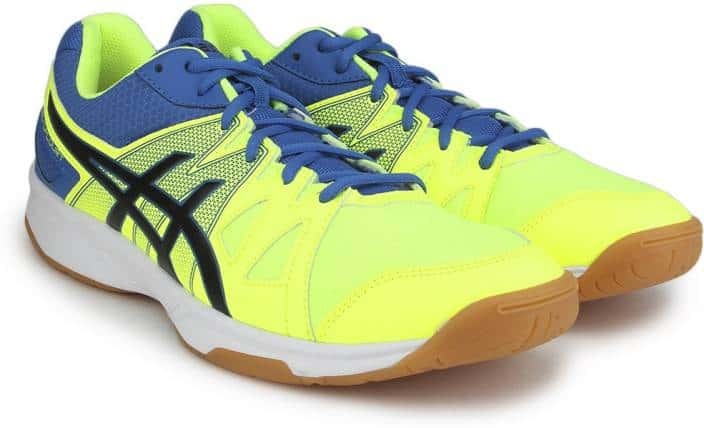 Though these badminton shoes will help in enhancing your overall game, we cannot guarantee in any way as to how better you’ll perform, since that is based a lot on your skills and practice. I have a wide size foot.Which sneaker would be best for me.? my Shoe size is 11.5, but need Wide size, currently I could not get this model in any one of shoes listed above. Where we can get the same?